Yes, it's already 2012! Happy New Year! Yesterday I trekked out to the 30th Annual King Mango Strut in Coconut Grove where the sun was shining on yet another great South Florida event! 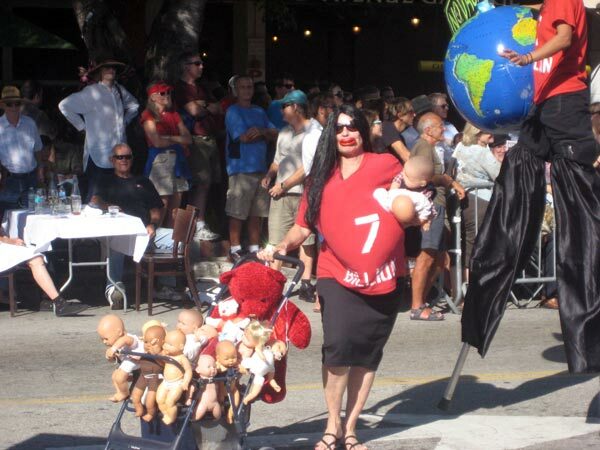 Each year, fun-loving Miamians pick there favorite wacky events of the year and turn it into a tongue-in-cheek parade. A lot of the humopr was based on politics, as usual. 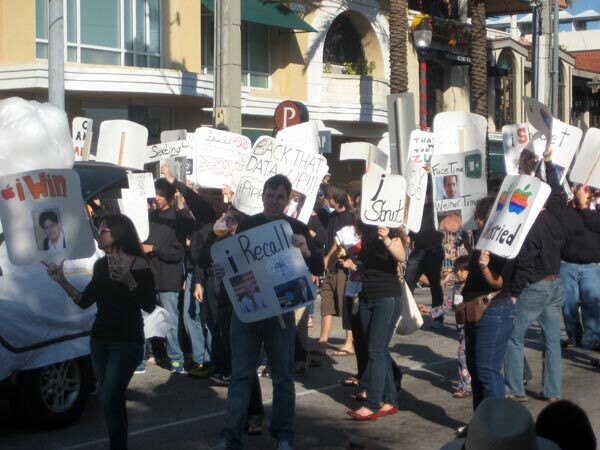 And there was Octo-Mom and Steve Jobs tributes as well. There's something for everyone in this end of year send-off. The crowd not only watches, but often participates. As always, it's all about HOPE for the new year. I hope your 2012 is a great one. Now, here is the video where you get to see the entire parade in less than 8 minutes. Here is your intrepid Realtor with his trusty HD camera capturing all the action! I look forward to bringing all the great South Florida events to you via the web. When you're ready to move to paradise, give me a call!